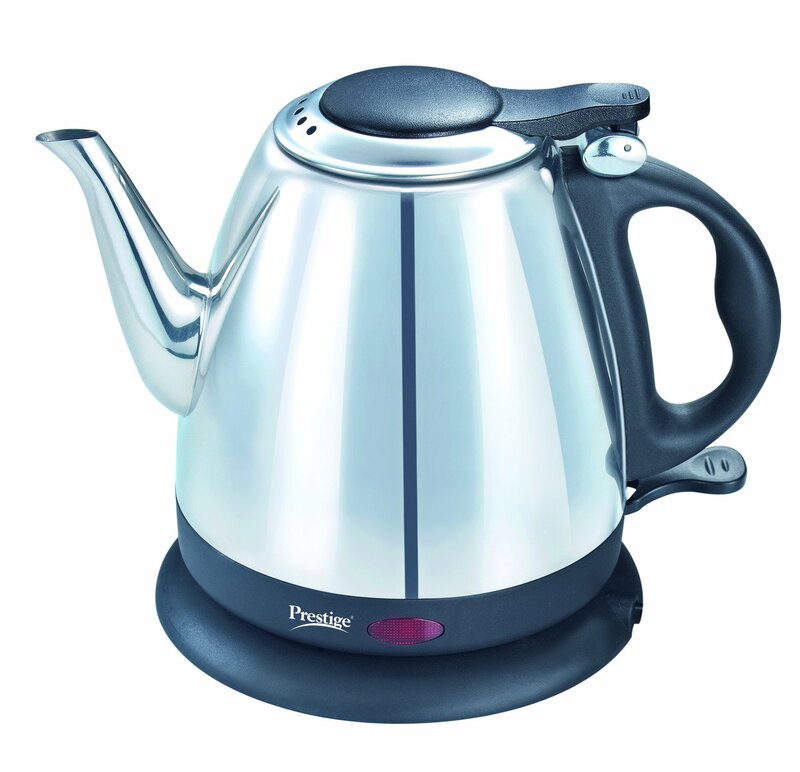 Making cups of tea has become really simple these days with introduction of the electric tea kettles, these are rapidly taking over from the standard stove top kettle for several reasons. One reason is the actual difference in time it takes to boil water for tea, the electric kettle can be twice as fast as the old stove top kettle. Also the electric version uses less energy when boiling water, this makes them very cost effective for all home owners. 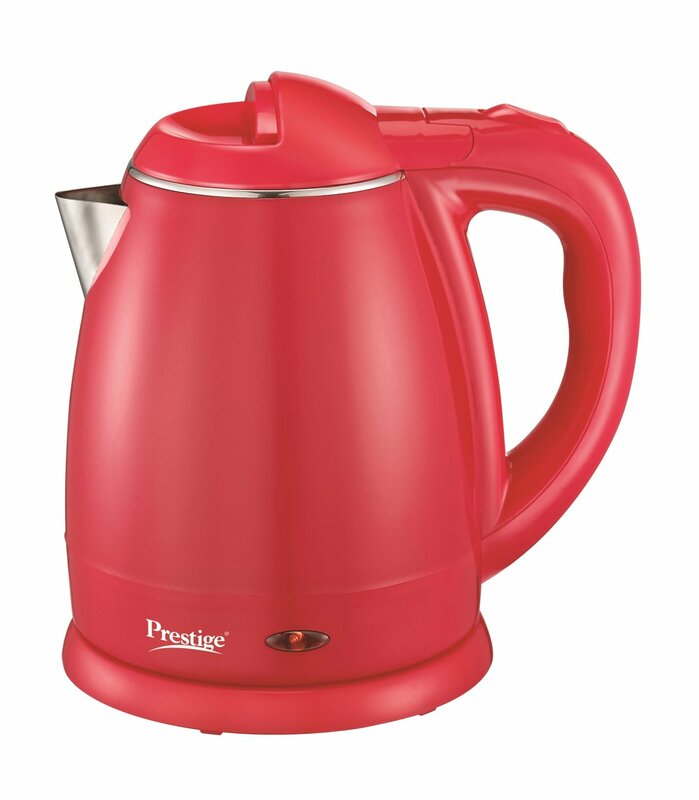 Unlike stove tea pots, electric kettle is usually made up of stainless steel and when connected to a power source produces its own heat to cook the tea. 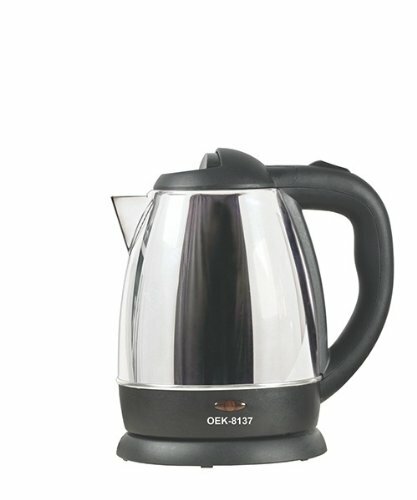 Although differ in design and sizes, all electric tea kettles feature automatic shut-off when water starts to boil for a short while for safety as well as boil-dry protection that prevents unit from powering on when the minimum water level (as recommended by the water-level gauge or markings available) needed for a safe boil is not reached. As electric kettle are specifically designed for heating water, they tend to be much more efficient than their counterparts. 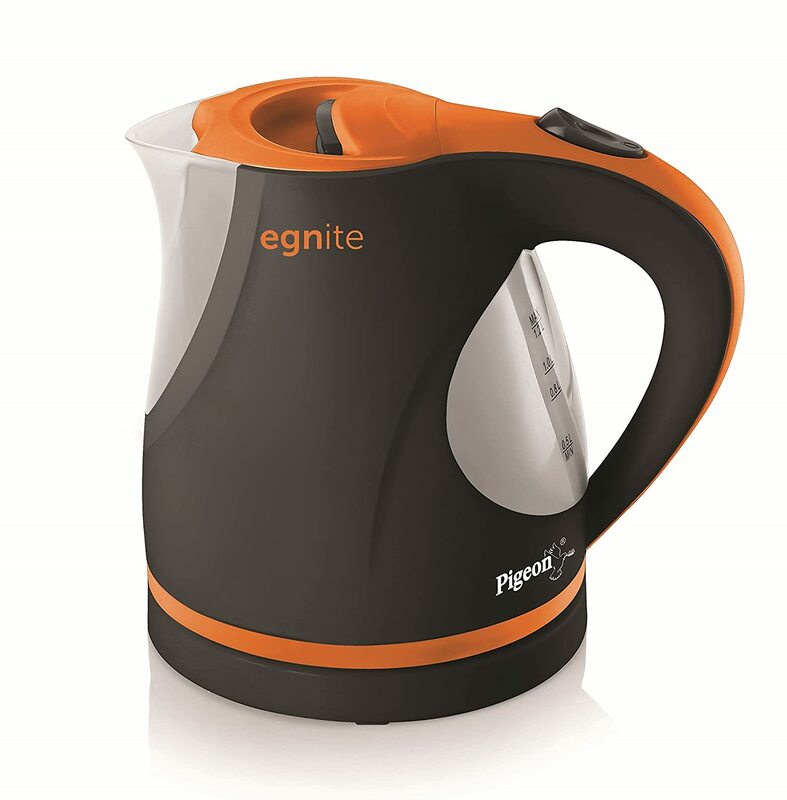 Stove top kettle can up to 10 minutes to boil water whereas electric kettle can boil couple of litres in just 3-4 minutes. Additionally, an electric kettle focuses most of its energy toward heating the water, while different stove tops present a varying amount of energy waste caused by escaping heat that doesn’t come into effective contact with the water. One of the most easily recognizable benefits of electric kettles are those associated with convenience. It’s very easy to use. All you have to do is fill them with water and connect to the source of power. And since most electric kettle nowadays are cordless, they are hassle free. You can lift them and carry around straight after boiling. Electric kettle comes with automatic shut down when water boils. This is very nice feature as it ensures your tea does not boil dry and prevents any form of damage to your countertop. 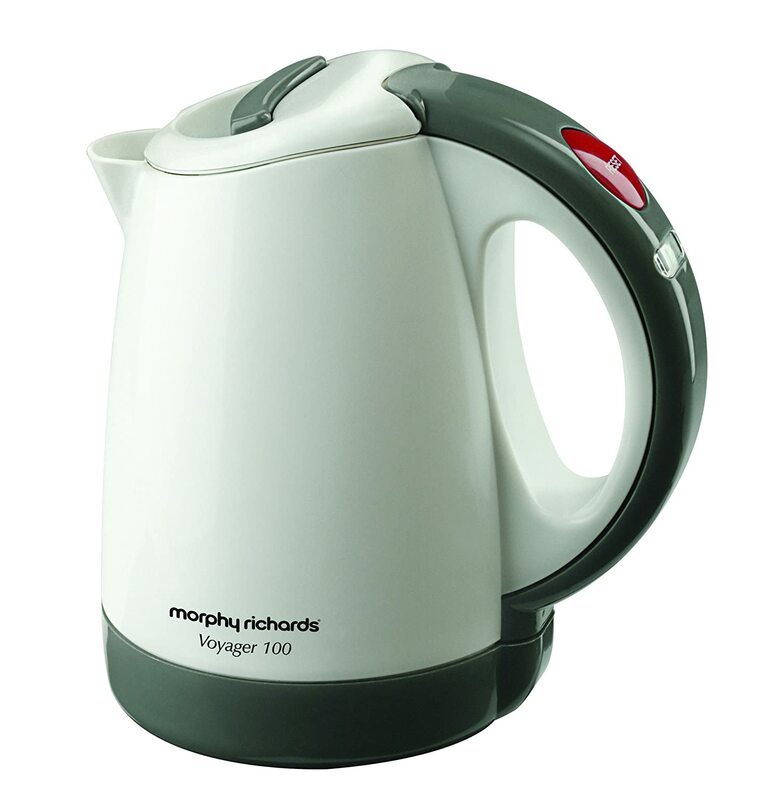 Electric kettles are perhaps most indispensable to tea drinkers who love green and white teas, which require considerably cooler water to prevent incorrect brewing and unpleasant bitterness and harshness. With stove top kettles there is no easy way to know the measure the temperature so you can took it off from the stove at correct temperature. 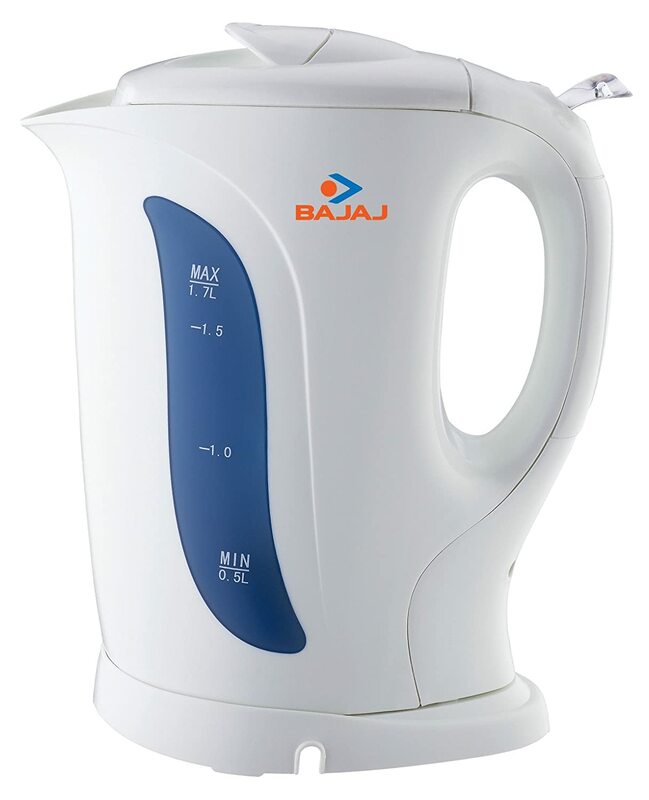 Electric kettles comes with temperature setting control that can be adjusted. Some advance electric kettle come with programmable tea making procedure that lets you only feed it with the ingredients and they make the tea. 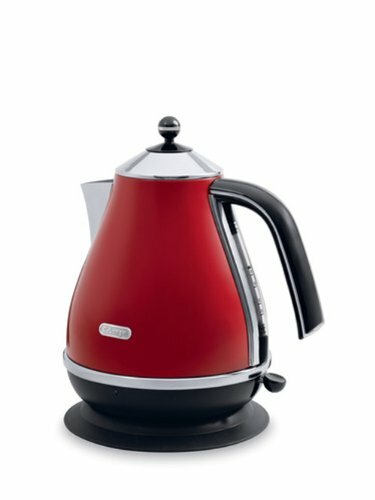 When choosing an electric tea kettle for home use, certain features are worth having for complete satisfaction such as a wide pouring spout for faster serving and pouring as well as tap water input, cool-touch exterior and handle for safety, lid-lock to prevent spills, filters to prevent minerals build-up as well as ensuring getting super-clean boiling water and if price is not an issue, one that comes with variable temperature settings since not all types of tea brew best with boiling water (green and white tea need slightly lower than boiling point temperature water for perfect brewing). To buy a perfect electric brewing pot you need to consider a number of issues. The following are important issues you should consider when buying an electric tea maker. Most of the kettles come with storage capacity between 1 Litre – 1.5 Litre and depending upon your need, choose electric kettle right capacity. It is best to buy a kettle which has at least 1 litre of storage capacity. You should aim for a device that offers at least 1 Liter of storage capacity. The size and weight of an electric kettle determines how and where you use it. This also affects how you use the available space in your kitchen. When purchasing an electric tea maker, choose the one that can easily fit in your kitchen cabinet and occupy less space on your kitchen counter. If you have to keep moving from one place to another then choose the light weight kettle. If you are buying a electric kettle, always go for cordless kettle. Being “cordless”, the device allows you to move the kettle freely. They are also also be a safer option with messy cords tucked away. Cordless kettles are of course quicker and easier to fill up from the tap. This is particularly useful for cooking as many of us use our kettle to boil water for things such as vegetables, rice and pasta. 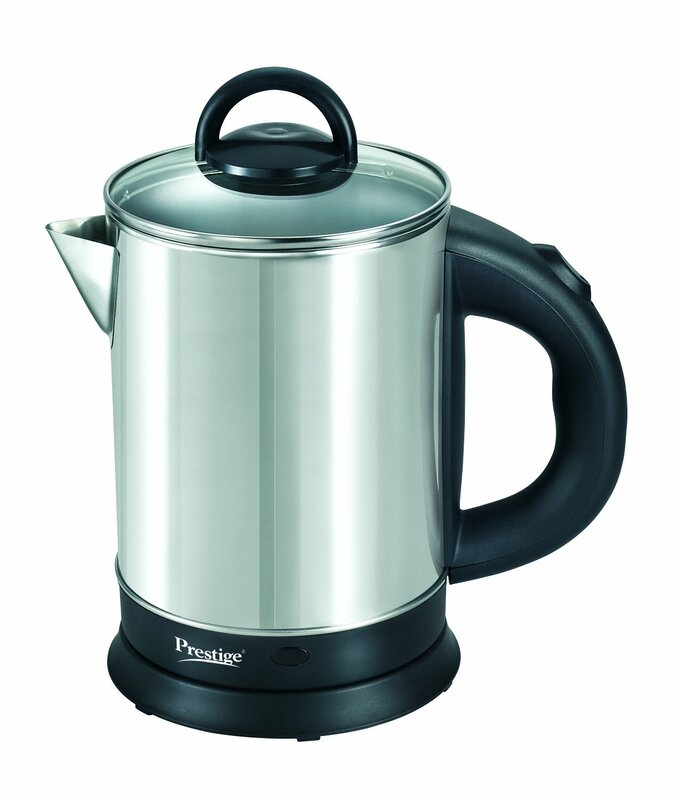 Also choose the kettle which is made up of stainless steel. Automatic shut off: As mentioned earlier, this is very important safety feature that prevents the risk of kettle drying out water or over-boiling the same resulting in potential hazards. Cool-to-touch feature: This helps prevent you from burning if you accidentally touched your tea pot when the tea is boiling. This might also be a great feature especially when you have small kids. 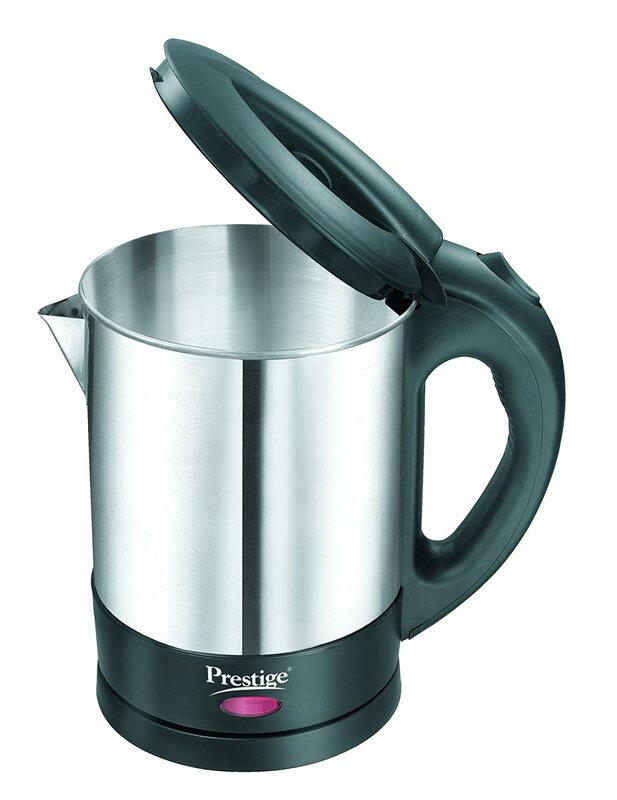 There are many types of electric kettles available in the market today. The best electric kettles depend on your needs and desire. Below we have electric tea kettle reviews for you to look at. 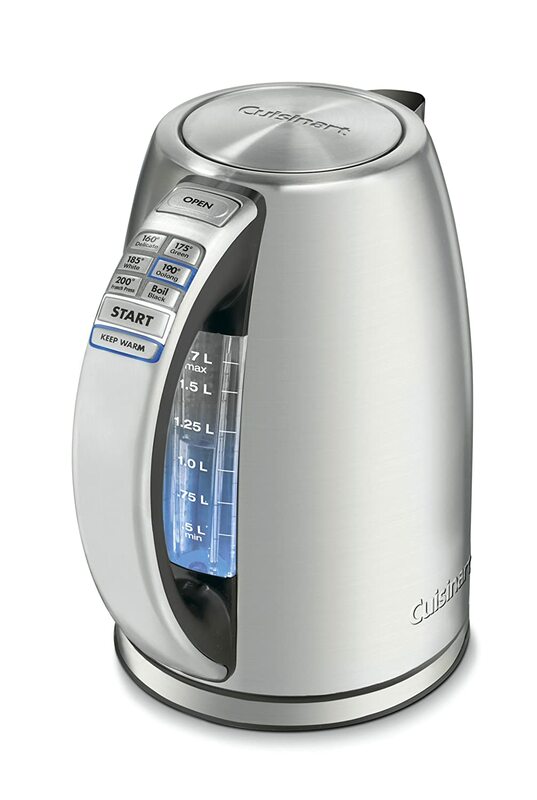 Cuisinart CPK-17 PerfecTemp is one of the best high end electric kettle with temperature-variable for brewing a number of different types of teas. It can hold upto 1.7 litre water and can heat the full pot in just few minutes. The two best features of this electric tea maker are the variable temperature settings and the Keep Warm function. The variable temperature is accurate enough but the Keep Warm function will constantly cycle the heating element to maintain the set temperature for 30 minutes. It is very durable and a great quality for your money. 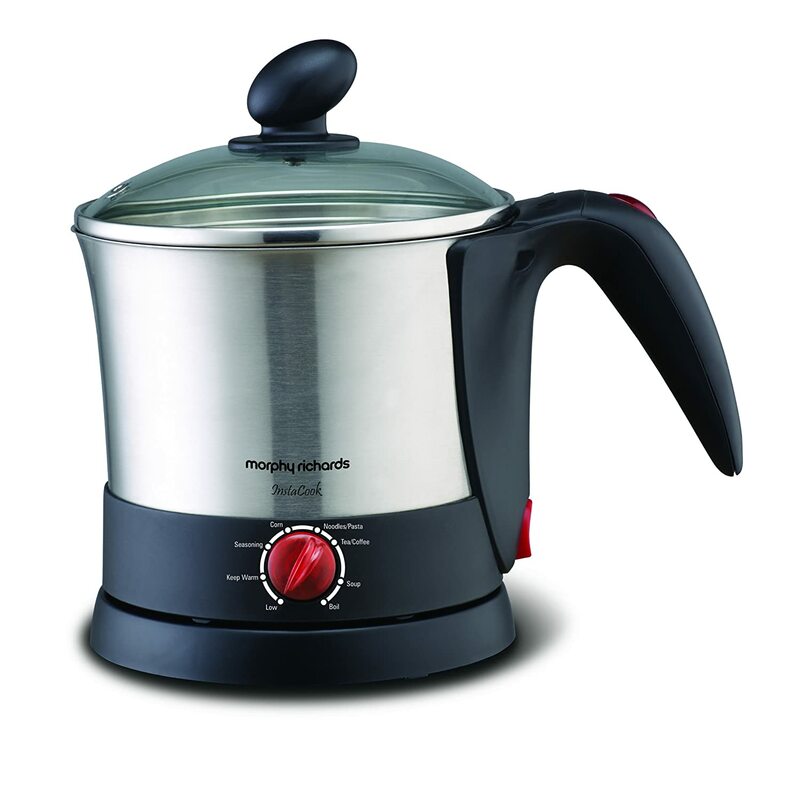 Morphy Richards has not too long ago introduced InstaCook that now not most effective reduces the time but additionally minimizes attempt within the kitchen. InstaCook has the appearance of an electrical kettle however is in fact a noodle/pasta and beverage maker. And although big, but very easily and quickly cleaned. The transparent lid adds to the presentation – i.e. even if it kept outside near your dining table or in the bedroom. If your purpose is only to heat water for drinking then this should be used along with another kettle if u wish to save on washing every time. It gives 8 purposes and has been designed to turn into a definitive myth among the shoppers. It might do a complete vary of chores from boiling water and egg, steaming corn and greens, making tea, espresso and wireless soups, warming milk to cooking noodles and pasta. 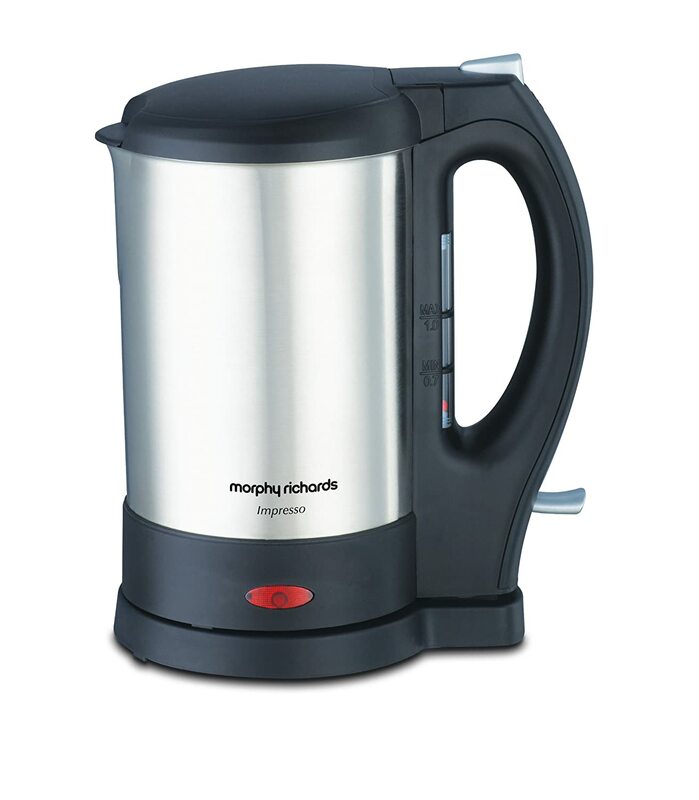 Morphy Richards Electric Kettle also comes with a steaming basket for steaming noodles/pasta and steam rack for steaming greens. The well-constructed and durable DeLonghi Icona KBO 2001 Kettle has a die-cast aluminum exterior and a sure grip handle that makes it easy to hold. The 1.7 litre, capacity makes it ideal for families or those who just like to drink a lot of tea at once. The DeLonghi is cord-free and has a concealed heating element and detachable base for easy pouring. Reviewers claim that it works fast, taking about two minutes to boil when it is half full. 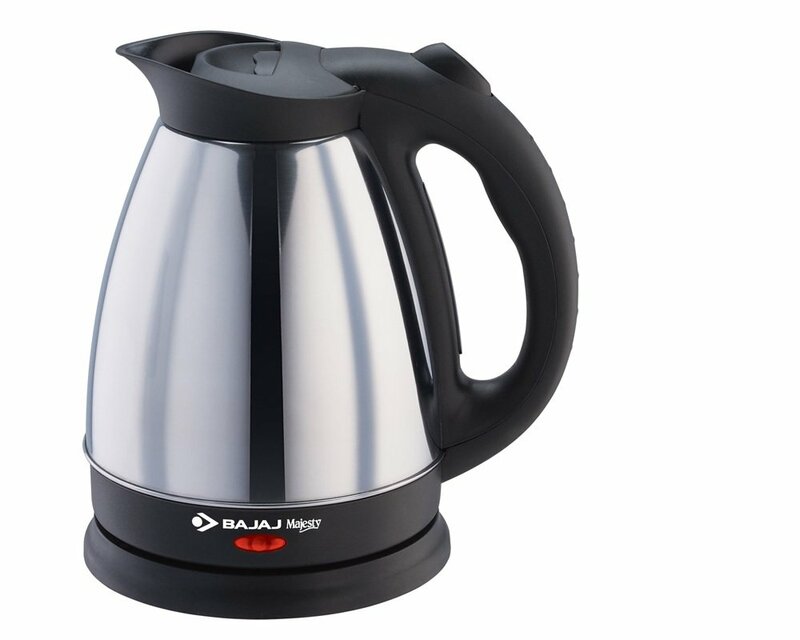 The built-in automatic shut-off mechanism prevents the kettle from boiling over or overheating. The non-slip feet on the kettle’s base offer additional security, keeping the unit from sliding around or scratching your surface. For more Electric Kettles, check below table.